One of the most interesting researches at RecSys 2018 was for me the paper on user inaction by Qian Zhao, Martijn Willemsen, Gediminas Adomavicius, F. Maxwell Harper and Joe Konstan (full title: “Interpreting User Inaction in Recommender Systems“). Paying more attention at interpreting inaction can be a rewarding strategy for those who design recommendation algorithms. 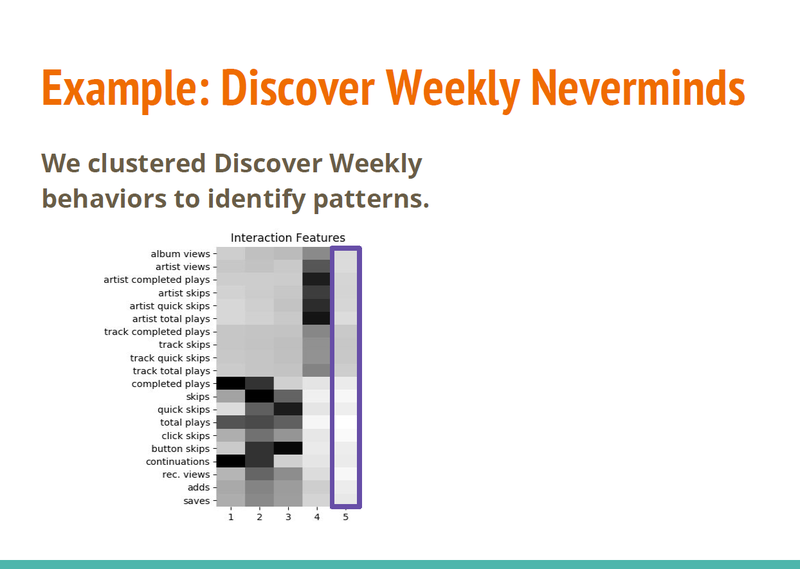 This research extended findings presented by Spotify on day 1 (tutorials) in which the segmentation of Spotify users of “Discover Weekly” recommendations was exposed. Based on their actions Jean Garcia-Gathright showed that the biggest group was that of users NOT interacting with the recos. Sometimes, inaction is just the most frequent behavior. The main contribution of this paper is to propose a categorization of inactions and to test the correlations of these inaction predictors on future recommendations. 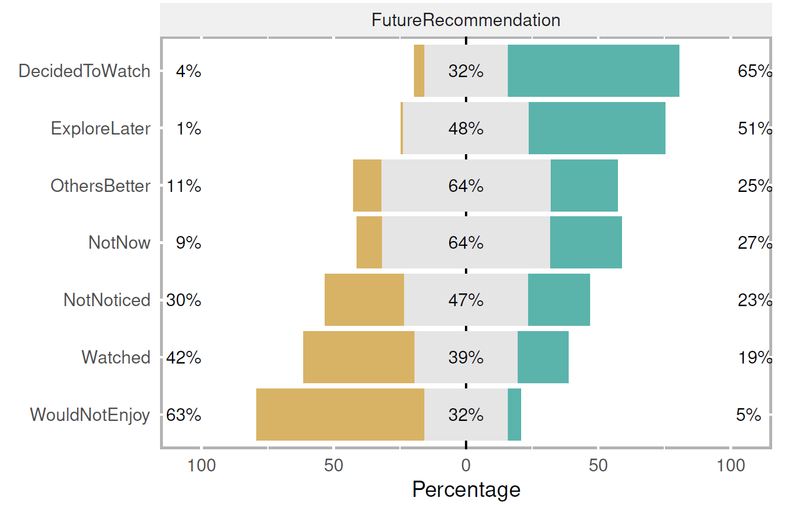 Given their weights, attention and context need to be paid special attention to and to be taken into account when designing recommendation systems. The authors went on to investigate the correlations between a series of explicit actions (rating a movie, clicking on a recommendation, saving in a wishlist, …) and the inaction categories.